Whenever you're in the Navigator boot from our Bent Rail® Collection, you're always headed in the right direction. 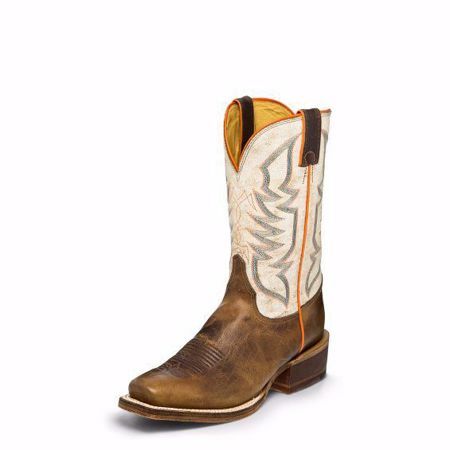 This 11" cowboy boot in Tan features a distressed leather foot contrasted with orange and grey accents on a bone ground for an unexpected, yet rugged look. The J-Flex Flexible Comfort System® delivers all-day support, and the narrow square toe and cowboy block heel add style and adaptability. This style is proudly Handcrafted in the USA with imported materials.